The Eagles are in a great spot. Starting quarterback Carson Wentz threw more touchdown passes per game than any other in the NFL in 2017. He was a favorite to win the MVP at one point and is one of the best young signal callers in the game — but he wasn’t even at the helm when Philadelphia won the Super Bowl. With third-year QB Wentz and backup Nick Foles, the Eagles are in the best position under center of any team to start the 2018 season. That is not lost on anyone in the locker room and especially not on defensive lineman Chris Long, who won his first Super Bowl with Philadelphia last season. “It’s really a dream, I mean, as far as having two unselfish, capable, explosive-type quarterbacks that can really light up the scoreboard,” Long told Omnisport in an interview Thursday as part of a promotion for all-you-can-eat chicken tenders and riblets at Applebees. The Eagles got a scare last season when they lost Wentz to a season-ending knee injury in Week 14 against the Rams. Many counted Philadelphia out at that point, but Foles stepped up and led the team to a Super Bowl 52 victory over the favored Patriots. 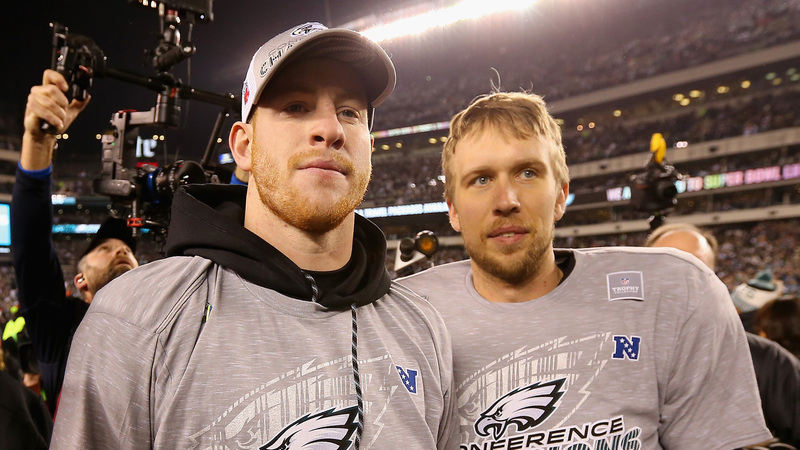 Wentz is not guaranteed to be back for Week 1, but the Eagles are in a fortunate spot with Foles, a now Super Bowl winning quarterback, at the helm in addition to a strong roster, as Long pointed out. It will be easy for some pundits to count out the Eagles in the early going once again this year as Wentz works his way back from injury and Foles may start as the main signal-caller from Week 1, but Philadelphia has already dealt with this situation. Long said they have the depth not only with the quarterbacks, but every other position as well to once again excel this season.